Thank you to all who supported our 2019 Kickoffs! Wednesday, August 8, 12-1 p.m.
We will recognize the 2019 Pacesetters (businesses that pledge a corporate gift of $500 or more by Kickoff). 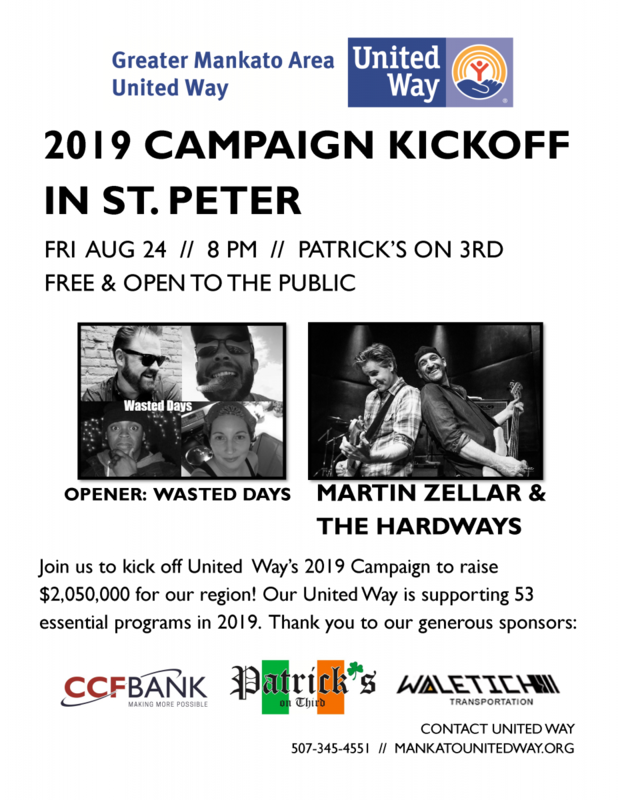 Friday, August 24, 8 p.m.- 12 a.m.
Music begins at 8 p.m. at Patrick’s on 3rd with Wasted Days, followed by Martin Zellar and The Hardways. Thank you to our generous sponsors: CCFBank, Patrick's on Third and Waletich Transportation!